One of our reasons for moving to Scotland was for a change of lifestyle. The dude and I are outdoor types anyway and it made sense that if we wanted to change our lives, be fitter, try new things Scotland would be perfect. We have an ever growing list of places to visit, mountains to climb, lochs to paddle, make new friends along the way and generally have adventures. 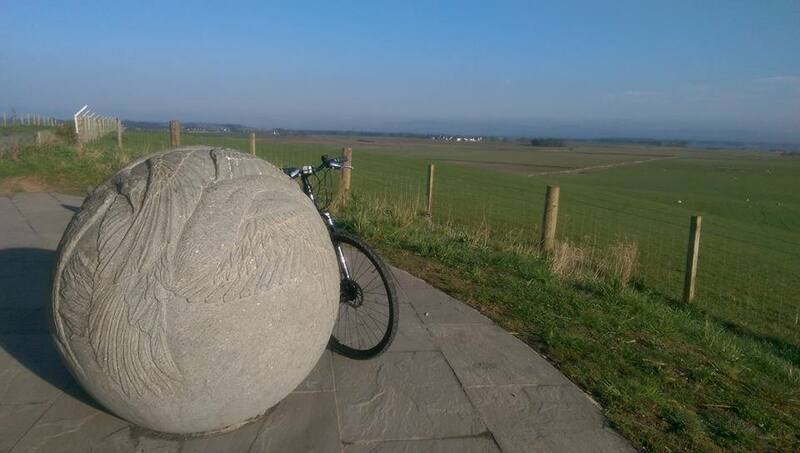 So our first purchase was to be bicycle’s and we chose cycling around Loch Leven Heritage Trail as our tester! Located just to the south of Kinross, Loch Leven is a very popular place for walks with the family or dog, kayaking out on the water, running, cycling and for something a little more sedate, bird watching up at Vane Farm the RSPB reserve. During the summer months you can take the same trip that Mary Queen of Scots made across to the island where she was imprisoned in 1567 – leaving from the pier. We had chosen this particular trail because we have visited previously, although admittedly only walked parts of it, and knew that it would be relatively flat and very scenic. Before we set off we were given several warnings by people that there were flies along the paths and to be careful. Even as I type this bit I am itching and scratching all over again! They weren’t wrong. Large balls of flies as you travel (quite) fast through them really do get everywhere! Anyway, moving on before I scratch my skin raw thinking about it…. Because we had only walked small sections of the trail we were totally oblivious to the (small) hill climb that faced us but both surprised ourselves by making it up in one go. Not bad for a couple of novices. One thing I do love about being out exercising, getting some fresh air, bustin’ a gut, whatever you want to call it, people speak to each other. “Hello,” “Good morning,” “These flies are terrible,” what ever it may be, most people say hello and that is really lovely. I’ve never owned a dog but I have friends who have dogs and other dog walkers always speak to other dog walkers. Today was no exception for like minded people enjoying a Saturday with sunshine! Going passed Vane Farm there is a slightly elevated view back toward Kinross. So pretty. The sound of the lapwings, geese and small birds going about their business is lovely. The smell of gorse in places reminded me of holidays (anyone else think it smells like suntan lotion?). Further along the trail continues through woodland and there are a couple of hides for watching birds, should your legs need a rest from cycling, too. We also came across a small sandy bit of shore with a bench. It was absolutely silent. Not a soul about. I won’t lie, reaching the end of the 21k route was a relief but I had managed to get all the way around without falling off, without feeling too out of breath, dying or anything else catastrophic so that eased the pain of my slightly saddle sore posterior! In fact I enjoyed myself so much I have been out again, same route – more flies, this morning! Do I get to call myself a cyclist yet? Our bikes will be featuring quite a bit in our adventures, I feel, and I am already looking forward to cycling around Loch Leven again very soon. 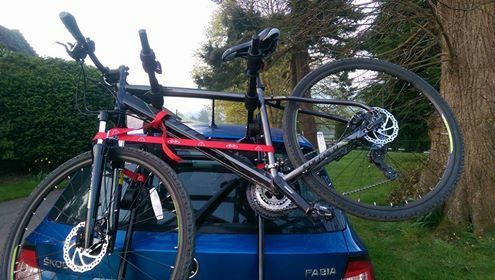 Are you a cyclist that enjoys trails around Perthshire, Fife or surrounding areas? If so I would love to hear your favourites. Well done on your cycle! It’s great to get outdoors into the fresh air and we’re having such lovely weather. I always think the wild gorse smells like coconut. Weird? I hear that flies are a good source of protein ;). Thank you Dawn-Marie. Saturday’s bike ride, Monday’s bike ride and a 5 mile walk at Loch of the Lowes to see the Ospreys on Sunday = plenty of fresh air! Not weird at all, it does have a coconutty, holiday smell about it. As for the flies, can you over dose on protein? Ahhh thanks Colin. I’ve just popped over to twitter to follow you as @MelsNextChapter. Thanks for the Loch Rannoch link I shall read it later. Sounds like a wonderful trail, but what a shame about the flies. I went cycling with my children a few weeks back (usually I leave this to Daddy) you get a really different perspective on life riding a bike!